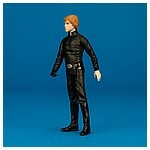 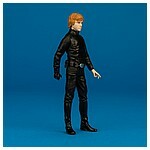 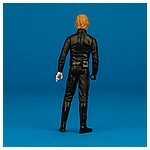 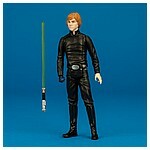 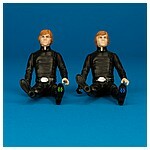 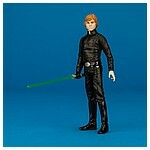 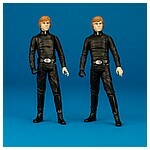 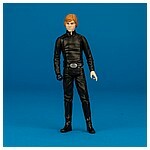 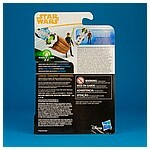 The Luke Skywalker action figure featured on this page debuted in the third wave of action figures in Hasbro's Solo branded Star Wars Universe Force Link 2.0 3.75-inch collection. 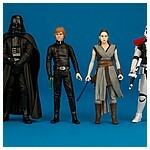 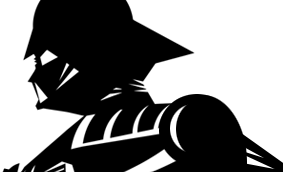 It began hitting shelves in September 2018 along with a debut sculpt A New Hope Darth Vader and the Force Link 2.0 version of the previously released The Last Jedi Rey (Jedi Training) along with the First Order Stormtrooper Officer created with existing tools. 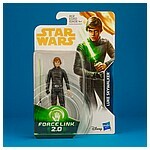 This figure was made available previously as a Force Link figure in the Emperor Palaptine, Luke Skywalker, & Emperor's Royal Guard three pack from The Last Jedi Star Wars Universe collection from 2017.